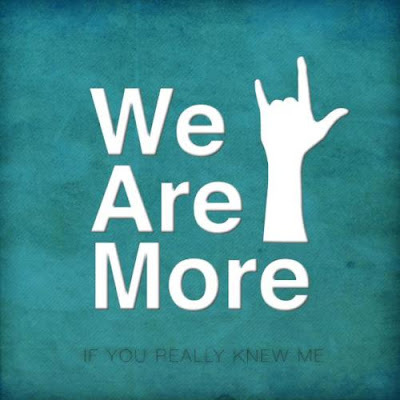 One of my favorite bands, He is We, lead singer, Rachel Taylor, has recently started a new organization called "We Are More". This project is to bring our generation together, to spread the word that we are not alone. Currently the project is raising money to purchase a web domain name and in the future send people to spread the word about We Are More by touring with bands and going to festivals.